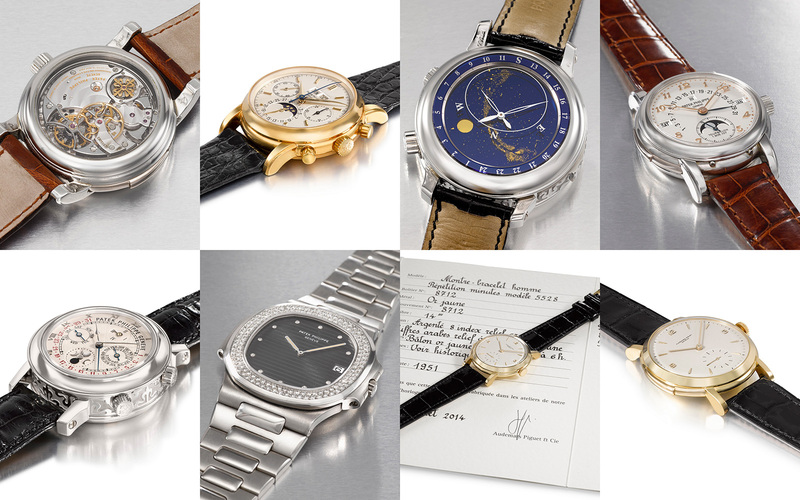 Christie’s “Important Watches Geneva” sale takes place on May 11, marking the 40th anniversary of its watch auctions in the Swiss city. Here are 10 highlights from the upcoming sale. On May 11 Christie’s will offer 314 lots at its Geneva watch auction at its usual venue at the historical Four Seasons Hotel des Bergues. 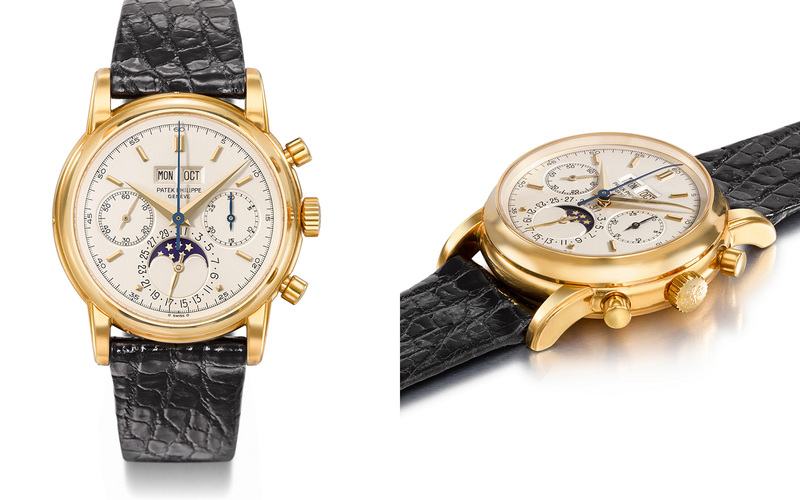 Now led by Thomas Perazzi, the watch department at Christie’s Geneva has selected 10 highlights from the upcoming sale ranging from a complete Patek Philippe ref. 2499 to an Omani Sea-Dweller. Lot 89: The Spherotourbillon was introduced as the successor to the Gyrotourbillon, arguably Jaeger-LeCoultre‘s signature complication. Equipped with a multi-axis tourbillon that rotates on a inclined axis just like a spinning top, the Spherotourbillon also has twin gear trains, delivering power to the time display and seconds hand respectively. That allows for a zero-reset seconds via the button at two o’clock. The estimate is SFr100,000 to SFr120,000, and you’ll find a detailed look at the Spherotourbillon right here. 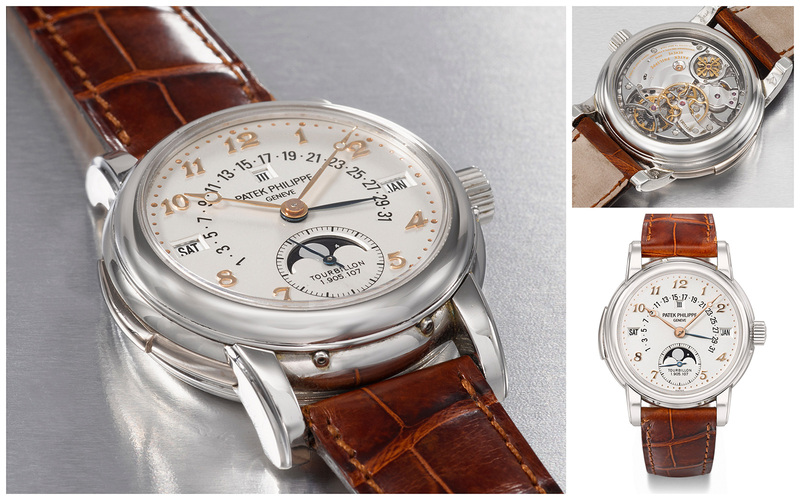 Lot 127: An attractive and perhaps unique Patek Philippe ref. 5016P fitted with a silver dial featuring pink gold Breguet numerals (instead of typical white gold numerals to match the case colour). The accompanying certificate notes this is a ref. 5016P-021, the last three digits signifying the unusual dial (standard models have a suffix “-001” or “-010”. Just 37mm in diameter, the ref. 5016 was probably the last of the subtle and classical grand complications from Patek Philippe. In fact it was the most complicated wristwatch made by Patek Philippe (with a repeater, perpetual calendar and tourbillon) until the Sky Moon came along. This is estimated at between SFr450,000 and SFr1m. Lot 136: Long Patek Philippe’s flagship grand complication until the Grandmaster Chime the Sky Moon Tourbillon was a million franc watch when new and still remains as pricey. 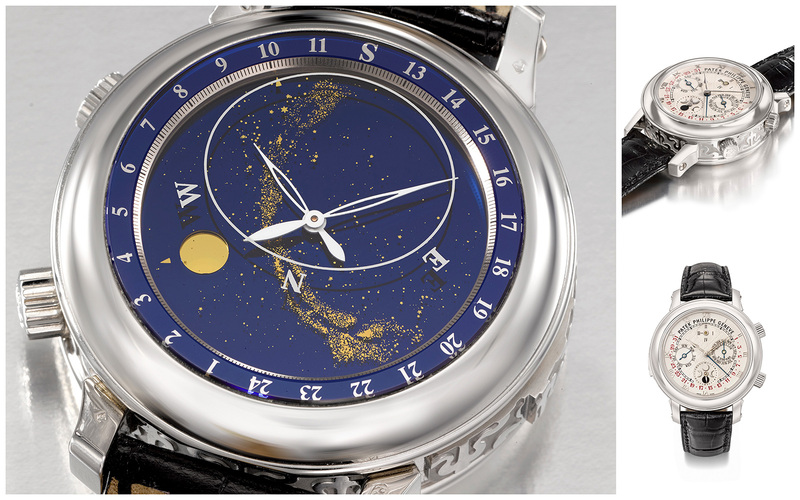 It’s in platinum with a double-faced case, one side showing the perpetual calendar and the other the star chart of Geneva. SFr800,000 to SFr1.3m is the estimate. Lot 156: Rolex‘s later sports chronographs like the Paul Newman get all the attention but its earlier chronographs are elegant and also desirable. This is a yellow gold example of the ref. 3525, the first Rolex Oyster chronograph, with the screw down back and crown characteristic of the Oyster case. And this watch has a unique provenance, it was gifted to Dr Paolo Biocca by Palmiro Togliatti, the leader of the Italian Communist Party. Biocca received it for helping save Togliatti’s life after an attempted assassination in 1948. The back is engraved “Palmiro Togliatti, al Dott. P. Biocca, riconoscente, 14-7-1948” on the back. The estimate is SFr100,000 to SFr200,000. Lot 204: Highly complicated wristwatches from Audemars Piguet are rarely seen for sale, as they were made in small quantities. This ref. 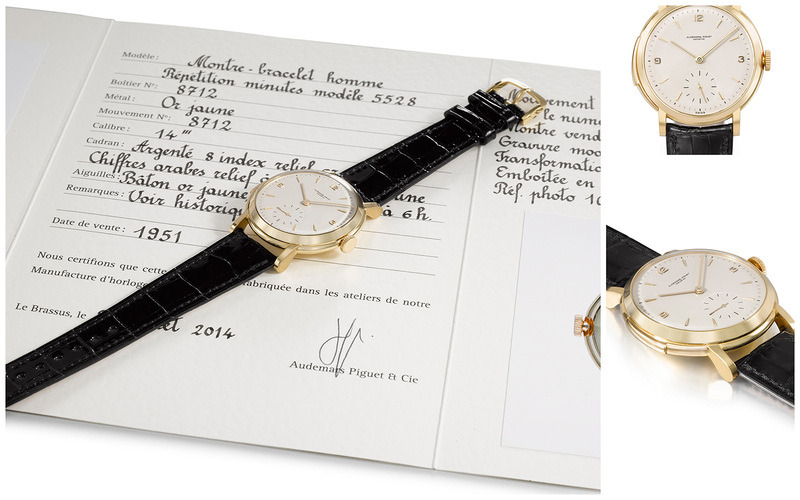 5528 is one such watch, a minute repeater with a gold case originally sold in 1951 – one of just three made and the only one known today. It contains a movement originally made in 1885 and sold in a pendant watch, then recased and sold as a wristwatch. At 38mm it’s large for a watch of that era, and eminently wearable today. And the watch is in mint condition, having been restored by Audemars Piguet in 2014, a process documented in the accompany paperwork. The consignor is the original owner of the watch, who received it from his father as a wedding gift some 40 years ago. The estimate is SFr150,000 to SFr250,000. 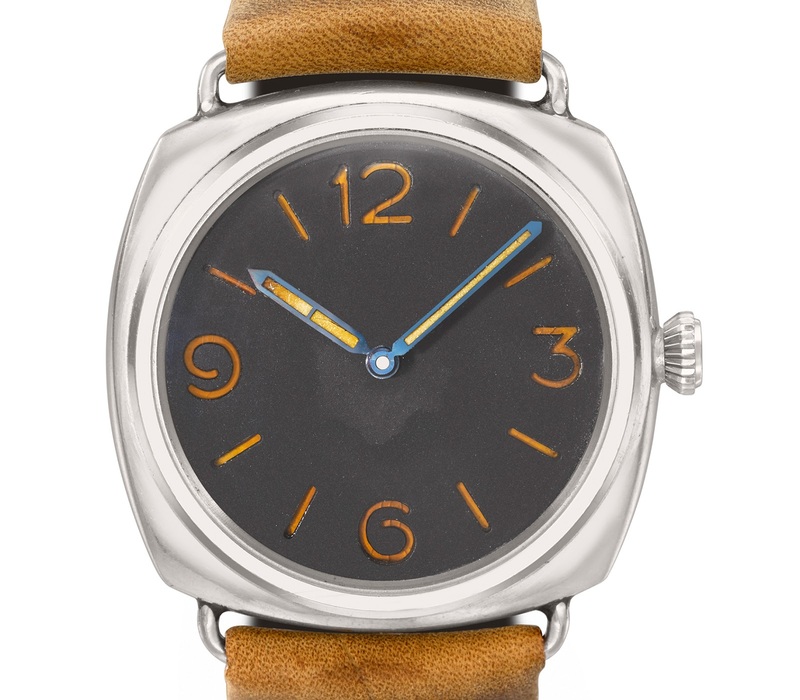 Lot 224: A Panerai ref. 3646 made by Rolex that is the origin of the modern Radiomir. Made in 1943, it’s one of the few wartime Panerai watches that survived. The dial has a sandwich construction, with a disc covered in luminous radium topped with a black dial featuring cutouts for the numerals and indices. This has good provenance, a plus in a vintage Panerai market that is soft: it is being offered by the son of the original owner, a combat diver in the German navy who trained with the Italian navy unit synonymous with Panerai. SFr70,000 to SFr140,000 is the estimate. 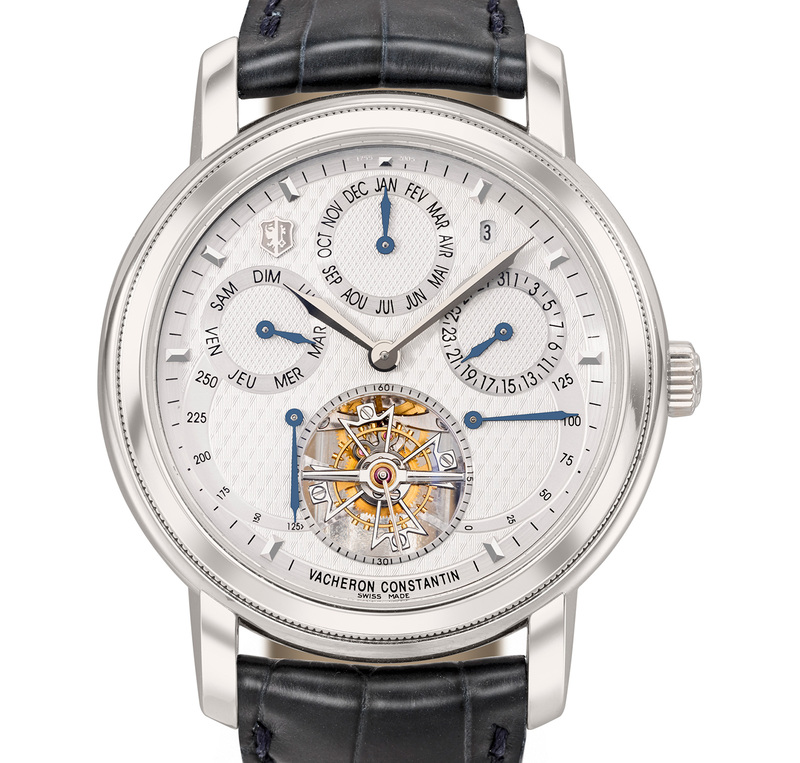 Lot 242: One of the 55 Saint Gervais watches in platinum made in 2005 for the 250th anniversary of Vacheron Constantin. 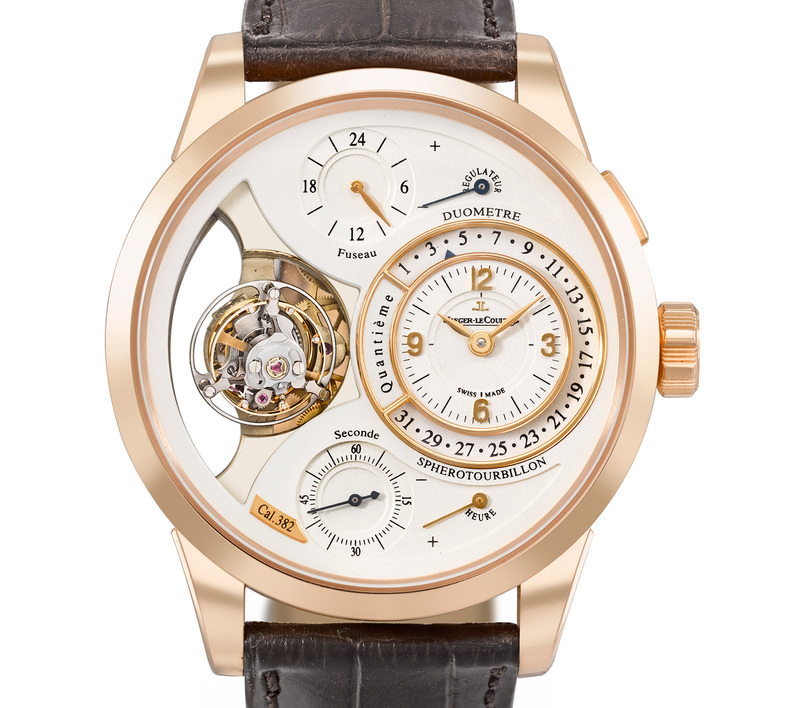 It features a perpetual calendar, tourbillon and 10 day power reserve. Unusually for modern, highly complication watches, the anniversary timepieces from VC generally do comparatively well on the secondary market, retaining value better than comparable watches from peers and even VC itself. The estimate is SFr250,000 to SFr350,000. 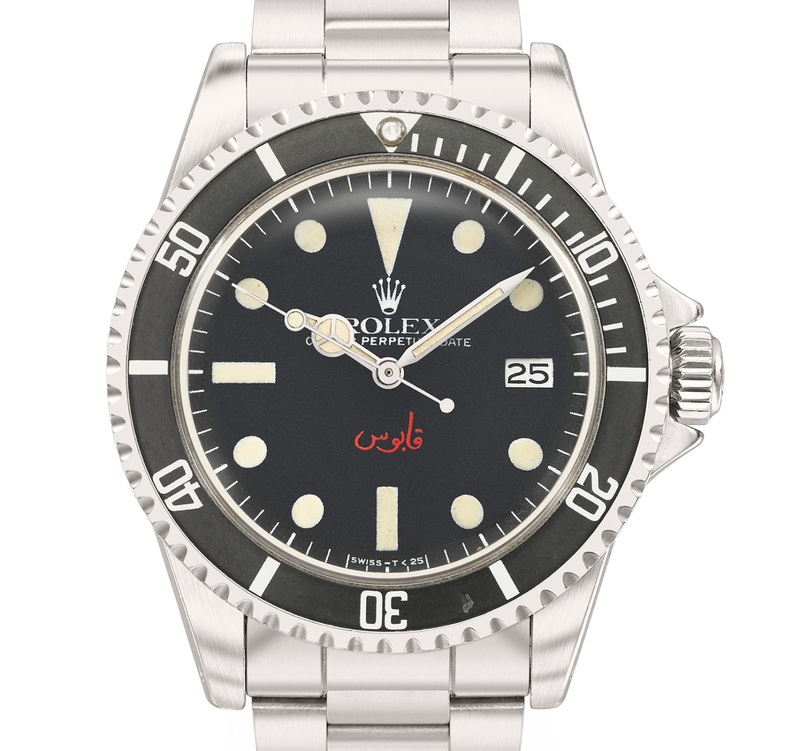 Lot 279: A Rolex Sea-Dweller ref. 1665 originally ordered by the Sultan of Oman, one of probably less than a 100 gifted to the British Special Air Service (SAS) troops who helped put down the Dhofar Rebellion in the seventies. The Sultan’s signature is printed in red on the dial at six o’clock. This comes with a Rolex box with the Omani khanjar logo on its lid. It’s estimated at SFr150,000 to SFr250,000. Lot 308: The ref. 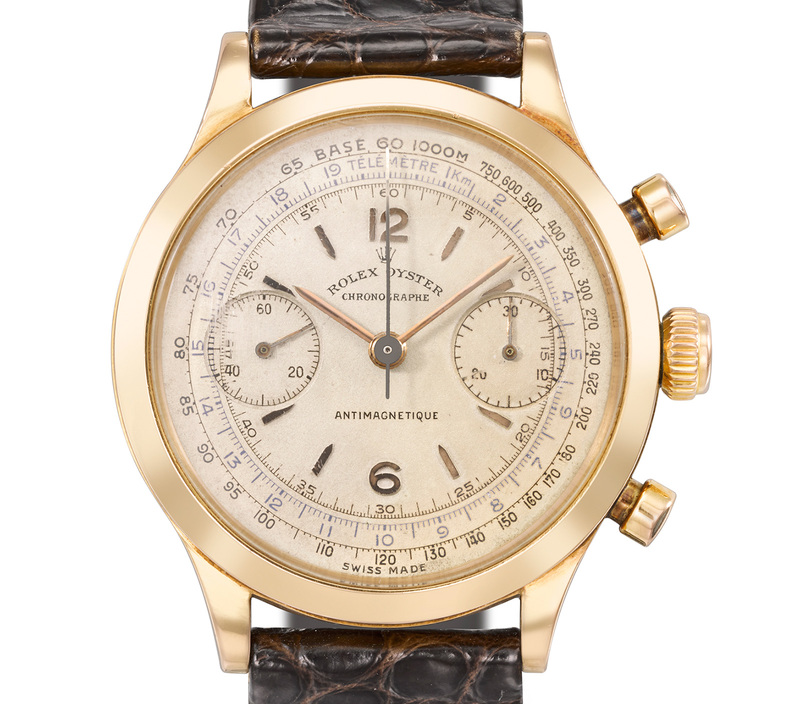 2499 is the most desirable of the Patek Philippe chronographs with perpetual calendar, and this particular ref. 2499/100 is in new old stock condition and an exceptionally package. Sold to retailer Gobbi in Milan in 1980, the watch comes from the original owner and is complete with the boxes, papers, tags and most unusually even spare parts like date discs, crown, spring bars as well as replacement parts for the movement. That explains the estimate of SFr400,000 to SFr 800,000, the highest amongst all the ref. 2499 that will be offered during the Geneva auction season. Lot 314: Only four of the Nautilus ref. 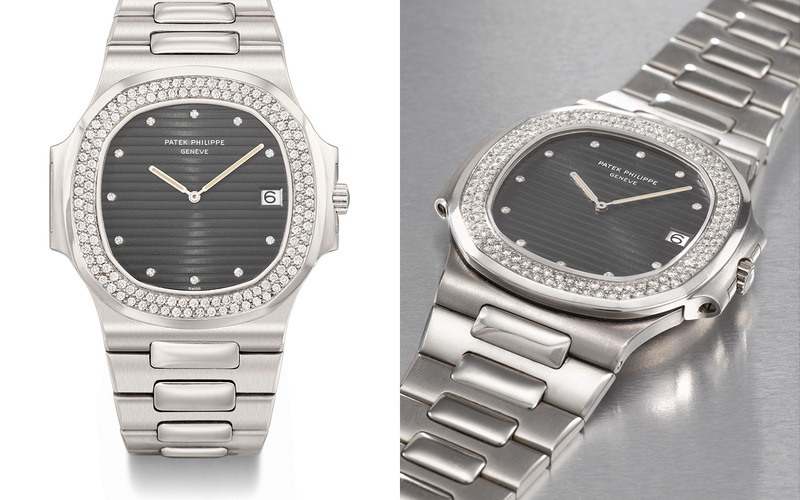 3700 were made in platinum, and this is the only one of the four known to have a bezel set with diamonds, making it possible a unique piece. And it’s in original and excellent condition, likely retaining the factory case finish. It was made in 1982 and is accompanied by the box and certificate. Like the ref. 2499 above, this was consigned by the original owner. The estimate is SFr200,000 to SFr400,000, making it possibly the most expensive vintage Nautilus ever. More information on the sale as well as the complete catalogue is available from Christie’s. This was brought to you by Christie’s watch department.